[email protected]: Classics from the Collection is a new television series on KET showcasing some of the best film work produced since Appalshop began as a training program in 1969. The series will run on Thursdays at 7 pm, Saturdays at 10 am, and Sundays at 11 am on the Kentucky Channel, and Fridays at 2 am on KET. The series begins on Thursday, January 6, with Sunny Side of Life, a look at the original Carter Family and their ongoing musical tradition in southwest Virginia. Featuring a variety of characters, topics, film styles, and production dates, [email protected] reflects both the place-specific nature and universality of Appalshop media work. The films in the series include some of Appalshop’s earliest productions (Coal Miner: Frank Jackson and In Ya Blood) as well as a series on the history of the region (Strangers and Kin, Long Journey Home and Beyond Measure) that was made in the 1980s/early 1990s. A number of the individual films have been preserved and remastered as part of the work of the Appalshop Archive. 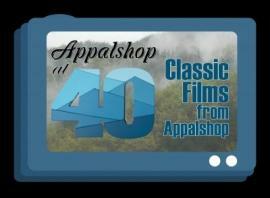 Visit www.appalshop.org/tvseries for complete details, listing, and schedule. Also visit KET for additional broadcasts.